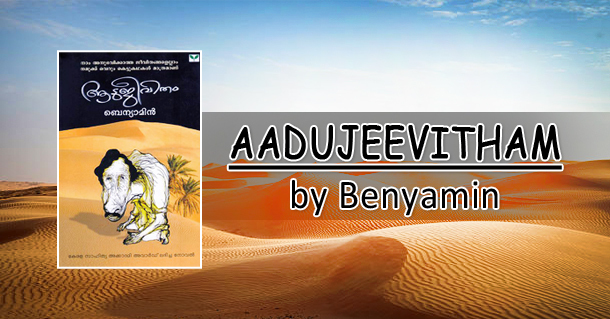 Benyamin’s tender portrayal transforms this strange and bitter comedy of Najeeb’s life in the desert into an universal tale of loneliness and alienation. Najeeb’s dearest wish is to work in the Gulf and earn enough money to send back home. He seldom realized the cost he had to pay to fulfill his dreams, a series of incidents, grim and absurd, landed him as a slave-like existence herding goats in the middle of the Saudi desert. In the end, the lonely young man contrives a hazardous scheme to escape his desert prison. AADUJEEVITHAM was published in Malayalam on 2008. He also won the KERALA LITERACY ACADEMY AWARD for this extraordinary writing. And the English translation of the novel for Penguin Book is done by Dr. Joseph Koyippally.